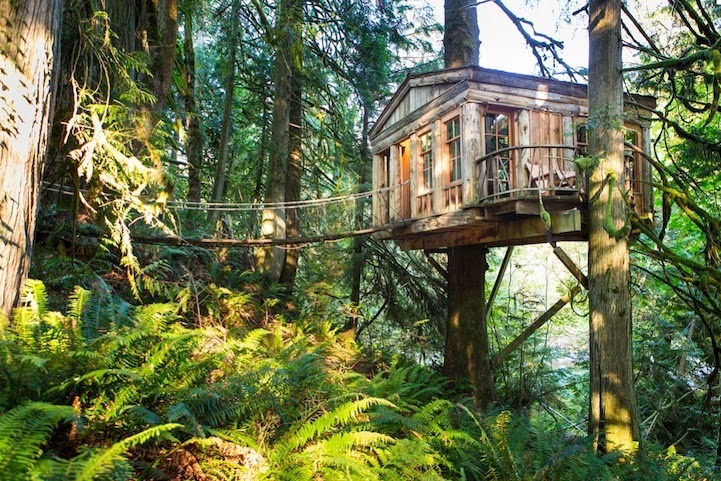 This finally proves that treehouses aren't just for kids! About 22 miles from Seattle, you'll find TreeHouse Point, a unique Bed and Breakfast that lets you spend a night in the trees! Owner Pete Nelson had the idea to create this amazing destination in 2005, nearly 20 years after he had built his very first treehouse with his dad at the tender age of five.